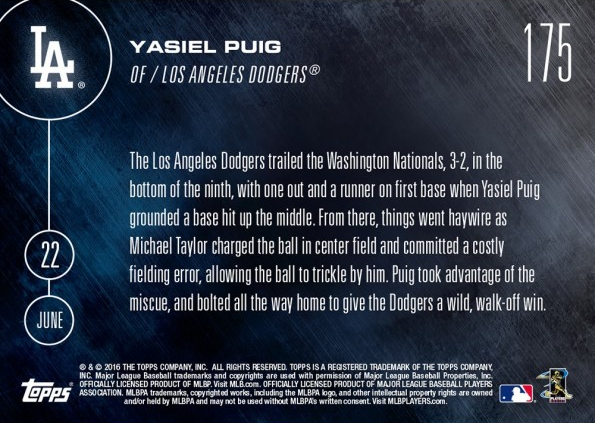 Yasiel Puig now has a 2016 Topps Now card to call his own, and it highlights his remarkable Little League-styled, inside-the-park, error filled, walk-off home run to defeat the Washington Nationals last night. That's a lot to say in one breath. Go here to check out the card at Topps. You have until tomorrow afternoon to place an order. "We were all talking about it in the food room just right now, just trying to think about any ending like that we've seen," Ellis said. 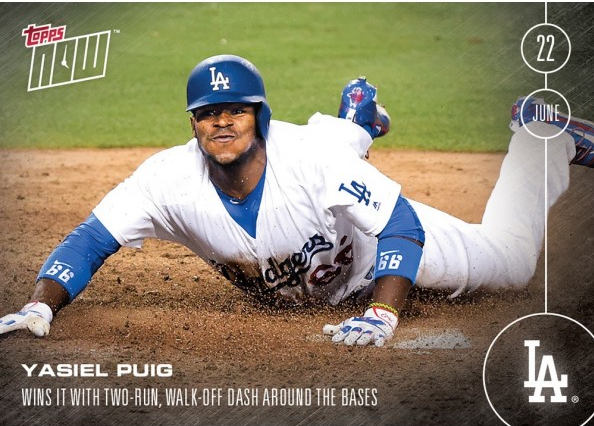 "To see something like that and to see Yasiel circle the bases, it's really exciting, especially for me being right there at home plate as he crossed. 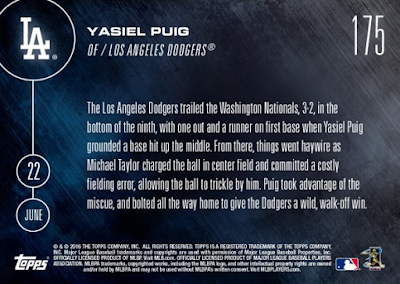 Just a really exciting moment to hear the crowd come alive as he circled."